Genotropin HGH 36IU - somatotropic. Interacts with specific membrane receptors, increases intracellular AMP content, activates protein kinases and protein synthesis. It enhances bone metabolism and accelerates linear growth of the skeleton, supports normal body structure, stimulates muscle growth, muscle strength, cardiac output, promotes fat mobilization. 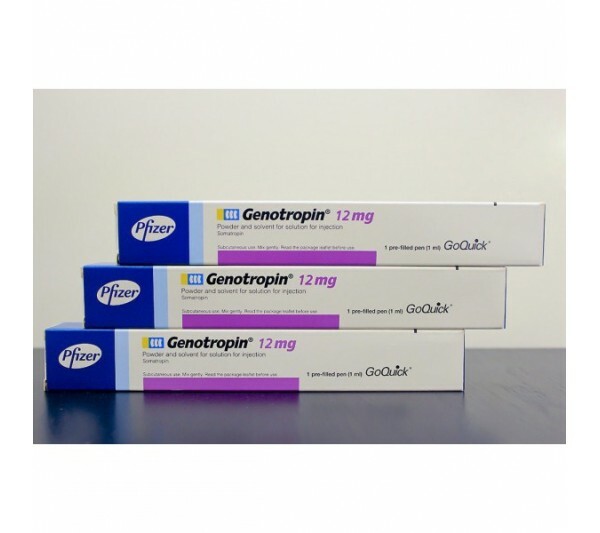 Increases serum concentration of insulin, insulin-like growth factor (IGF-1) and its binding protein (IGFB-3). The number of receptors that bind LDL in the liver increases, and the lipid and lipoprotein profile in serum changes. Slows down the excretion of sodium, potassium and phosphorus, increases physical endurance, regulates the balance of neurotransmitters in the brain, improves memory and increases vitality. Stimulates growth and increases body weight. When s / c administration absorbed about 80%. Cmax - 13–35 ng / ml. T1 / 2 - 20–25 min after i / v and 3–6 h after s / c injection. Growth disorders in children: growth hormone deficiency (pituitary nanism), gonadal dysgenesis (Shereshevsky-Turner syndrome), during puberty in chronic renal failure (with a decrease in function by more than 50%); hypothalamic-pituitary insufficiency in adults (deficiency of pituitary hormones, except prolactin).